Probiotic Bacteria with a culture medium for the proliferation of bacterioplankton. 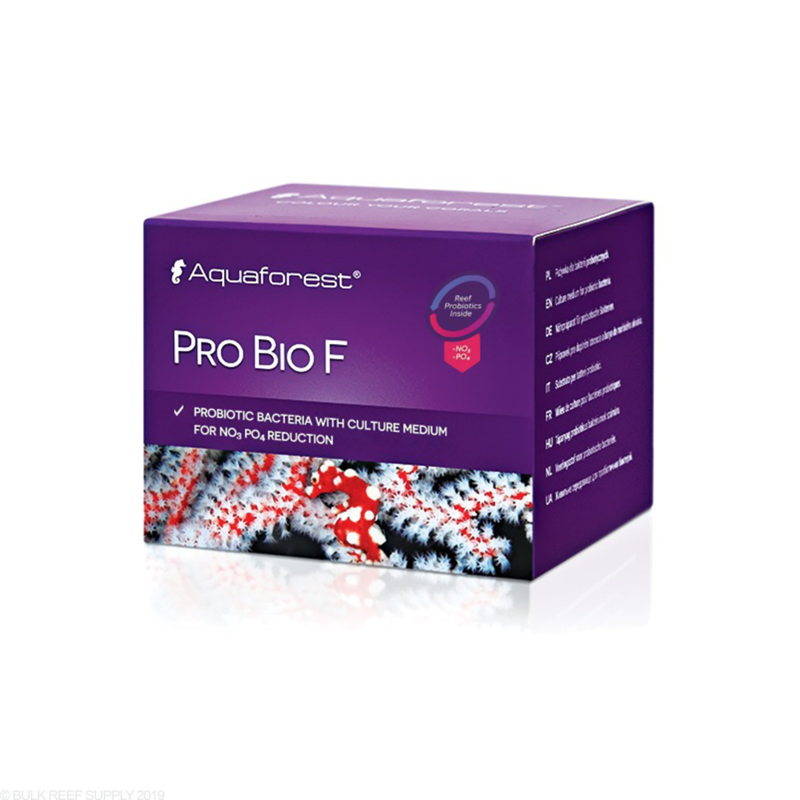 Pro Bio F is designed to be used with the Probiotic System. Its main purpose will be to help stimulate the growth of bacterioplankton. The culture medium will help with the overall reduction of nitrate and phosphates while allowing your corals to consume the bacterioplankton which is one of their main nutrient sources. 1 Spoonful per 100 liters (27 Gal) daily. Love the product. Hard to find. Aquaforest is awesome. Haven't had good luck lately with my tanks. But after using this and other products everything as come around looking better. Can pro bio f be some how mixed up and used in a dosing machine? If so what dose of ml would you suggest for a 25 gal tank? Due to the formulation and inclusion of bacteria with the powderized carbon food source, I don't believe this would be suitable for pre-mixing and dosing from a solution. Part of the issue would be that the bacteria would be re-activated in the solution and begin feeding on the food source, and this would affect the quality of the solution over time. If you are looking to use a doser, we would recommend using the NP Pro liquid. To boost effectiveness, Pro Bio S is recommended to be dosed regularly as well, but separately from the NP Pro.